Overall length is under 82 inches so KingQuad 400FSi 4 x 4 fits into a 6.5 foot truck bed. Overall length is under 82 in. so KingQuad 400FSi 4x4 fits into a 6.5 ft. truck bed. 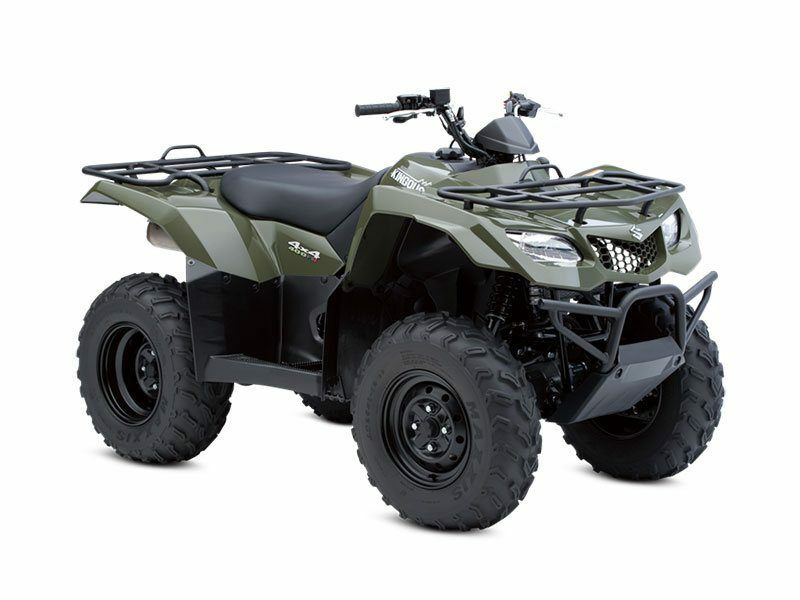 The KingQuad 400FSi features a fuel-injected 376 cc four-stroke, four-valve engine with new cam profiles and inner structures of the muffler (for more powerful and efficient performance). The KingQuad 400FSi comes with electric start. A start-in-gear system - functional when the rear brake is applied - allows starting the engine without shifting to neutral when conditions warrant.